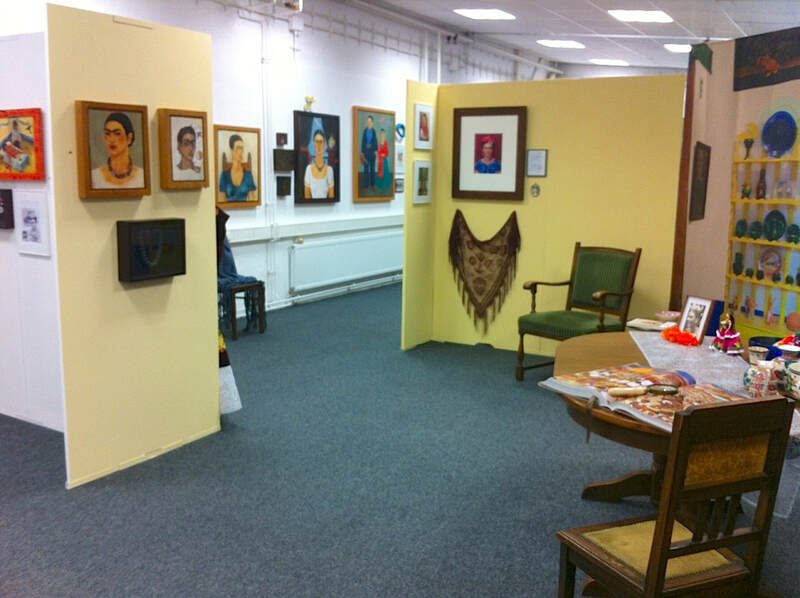 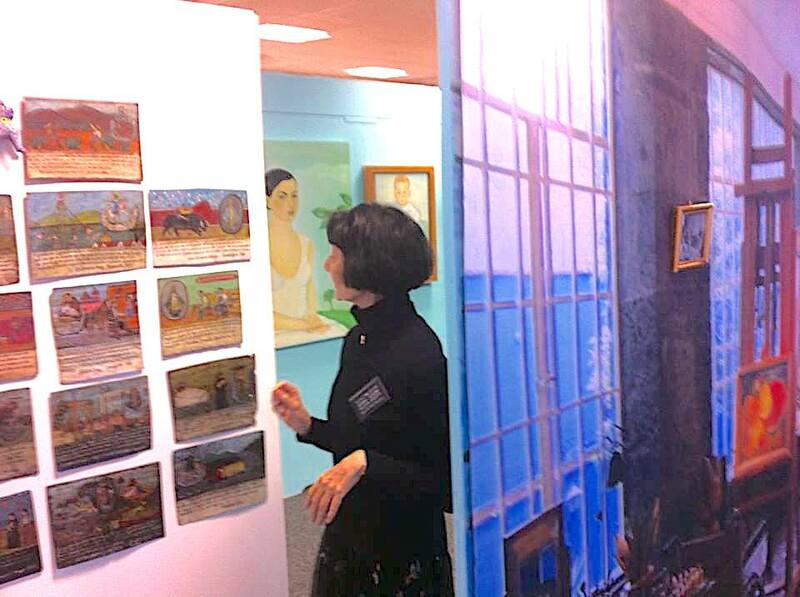 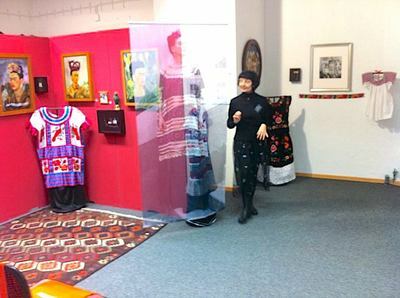 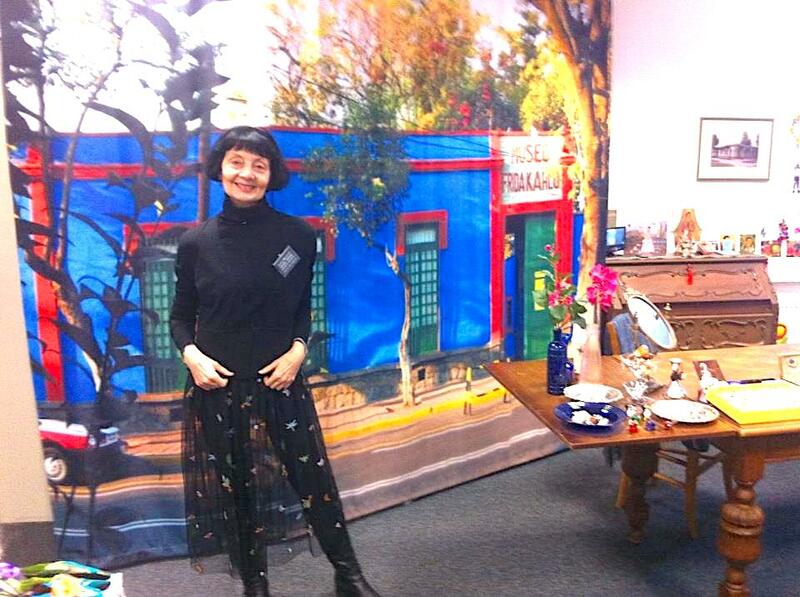 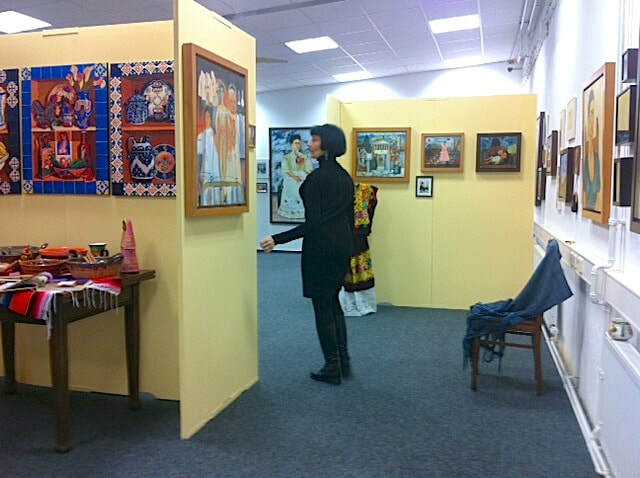 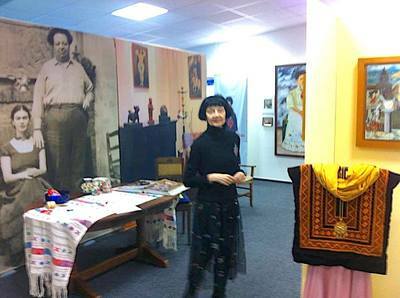 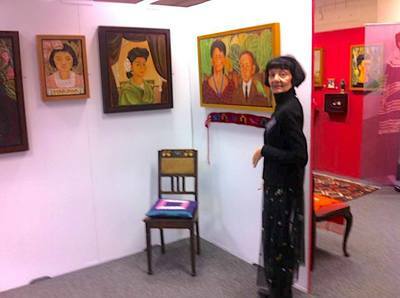 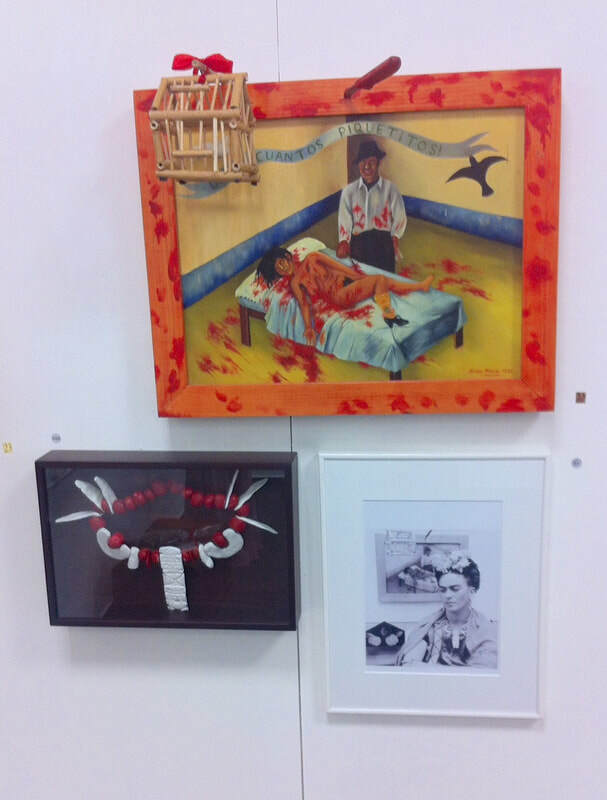 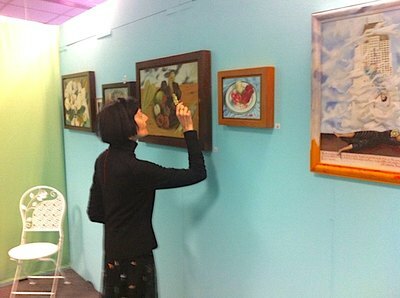 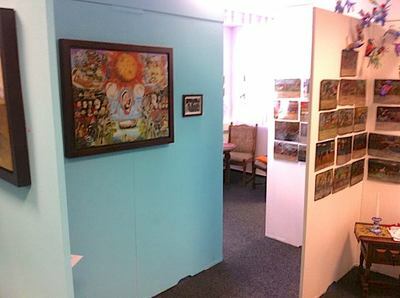 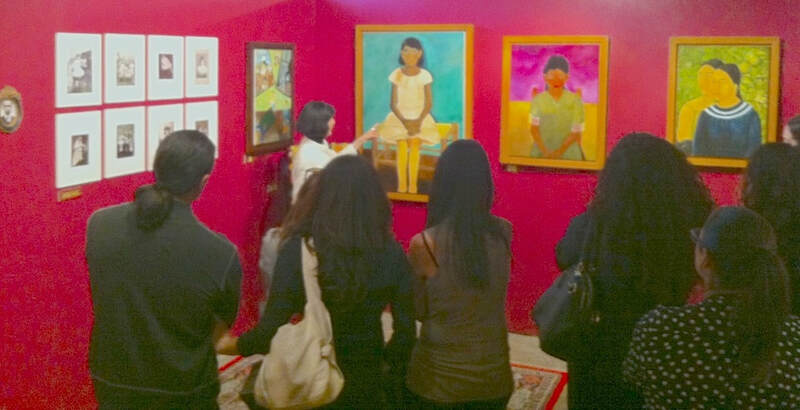 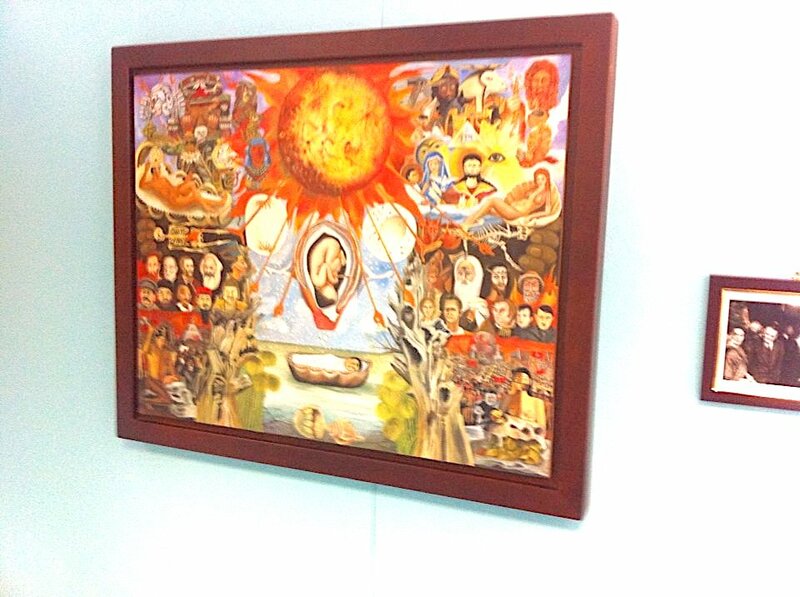 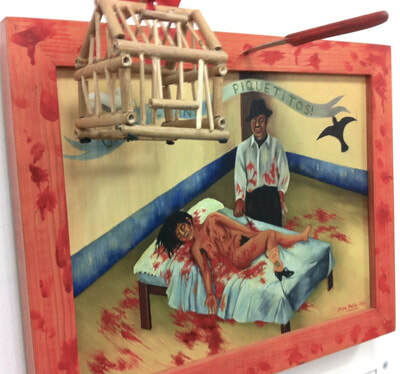 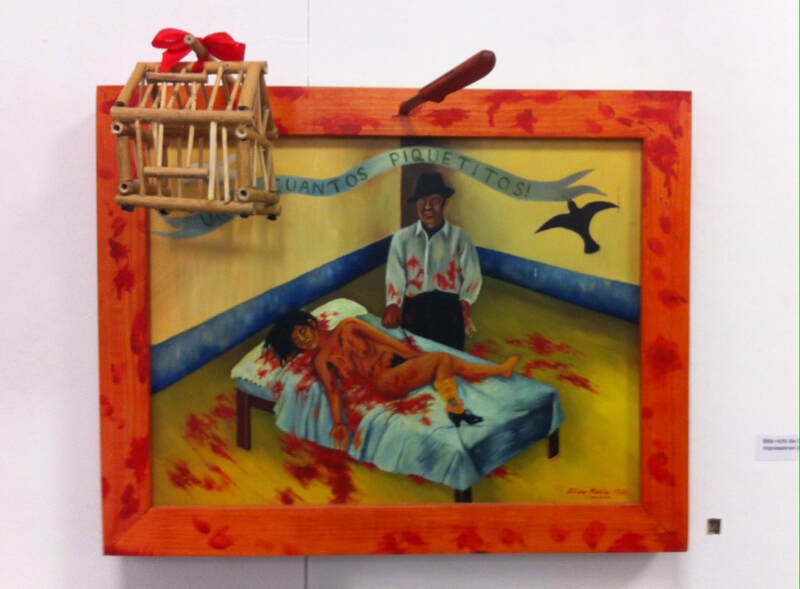 This is the only collection worldwide where all of her paintings can be seen in one place. 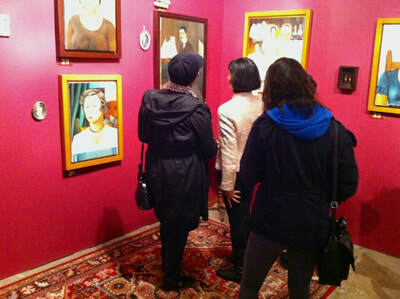 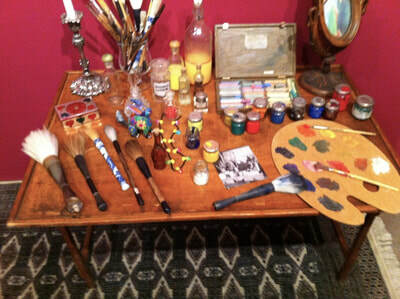 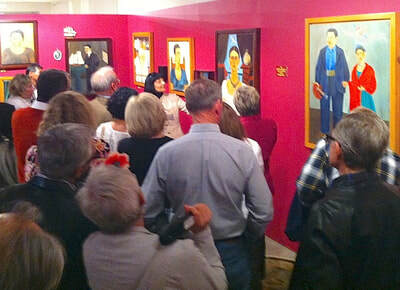 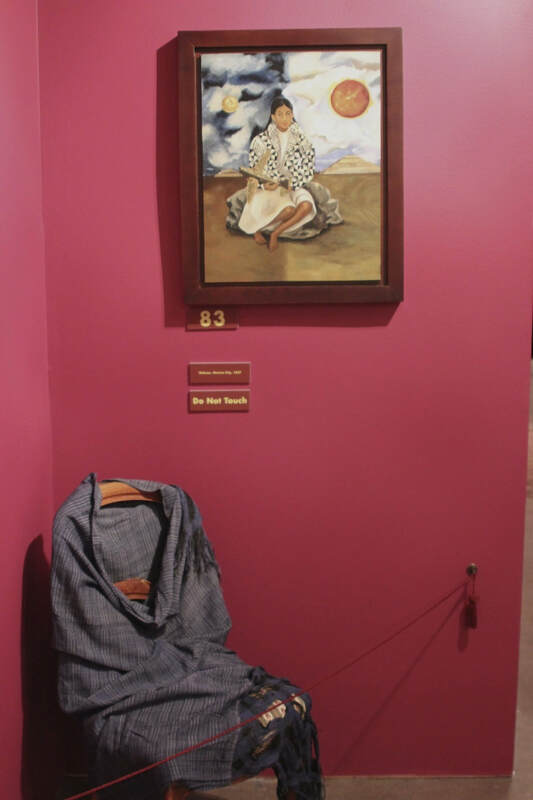 Some paintings, especially from Kahlo’s early years, have never before been seen. 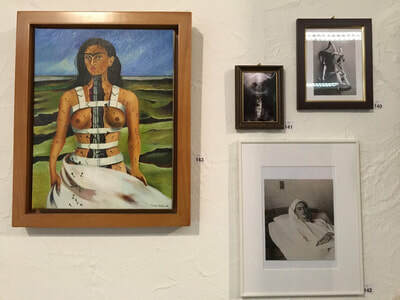 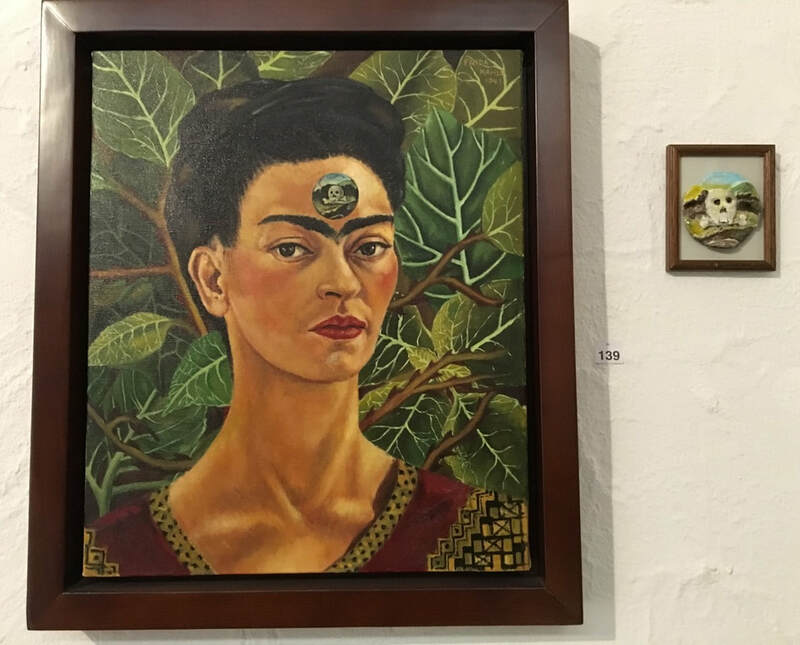 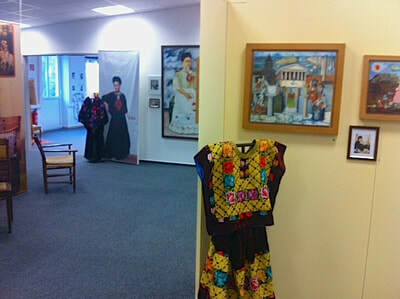 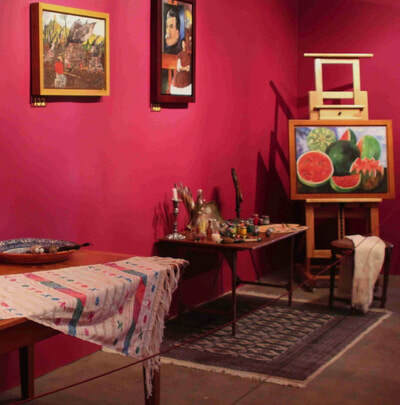 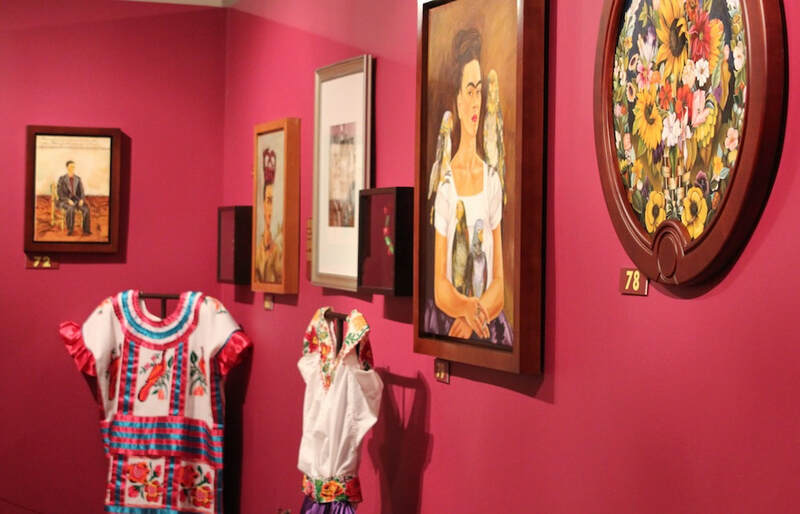 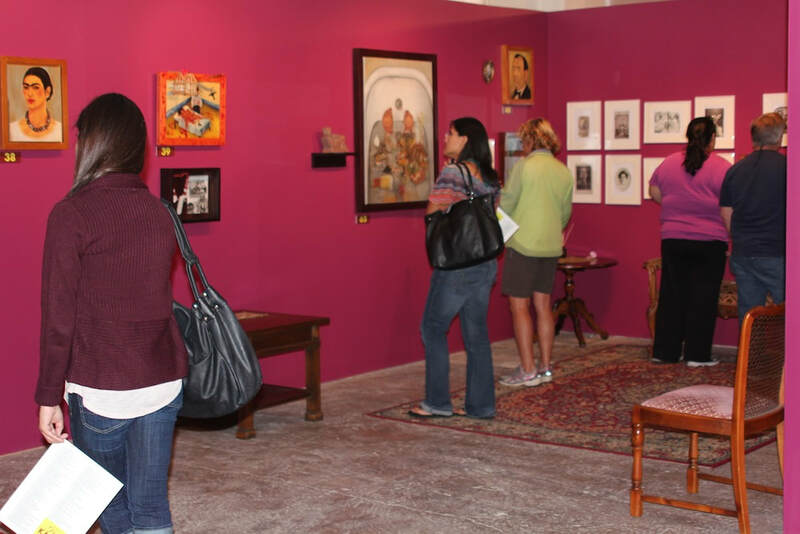 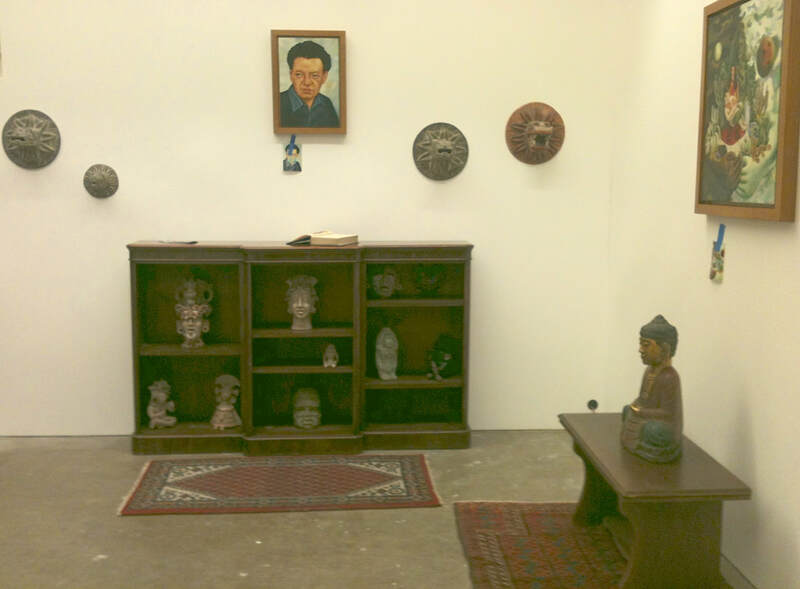 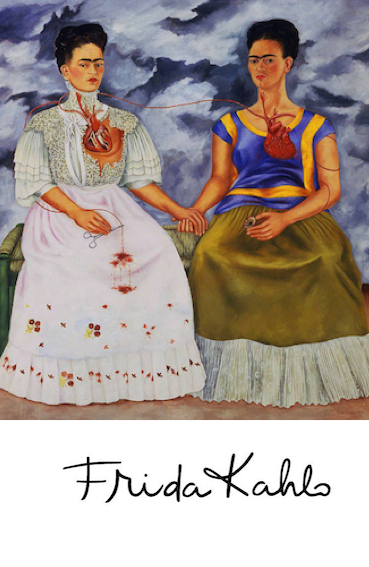 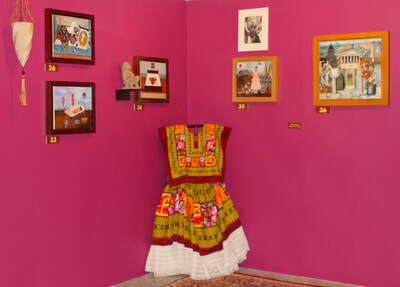 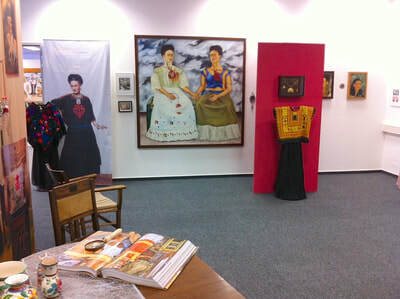 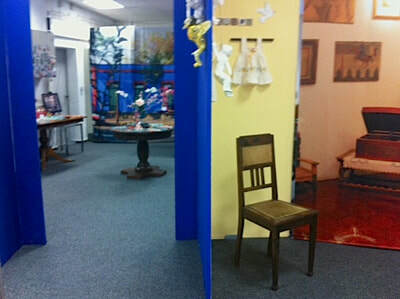 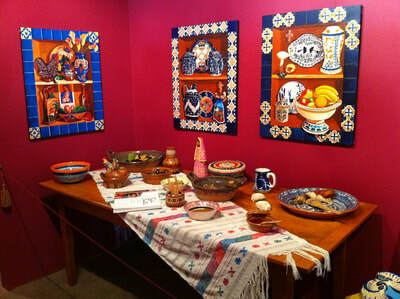 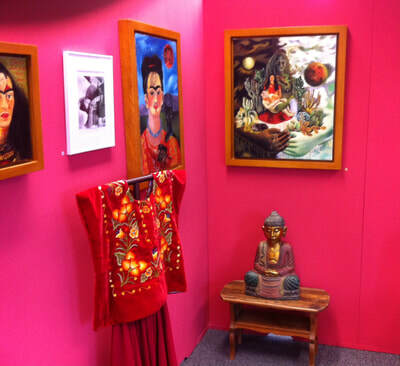 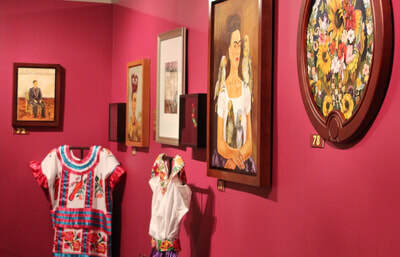 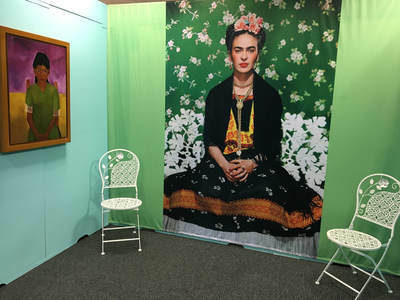 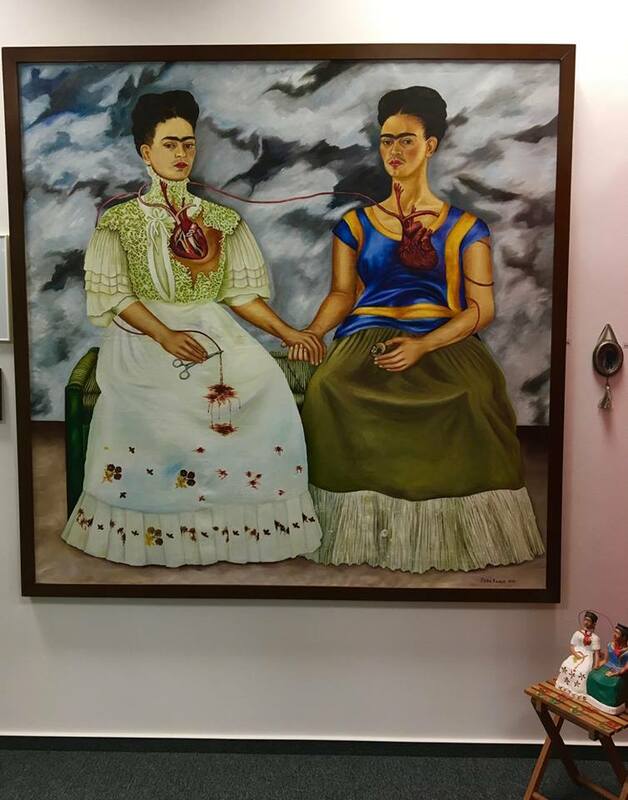 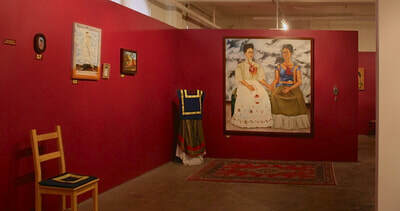 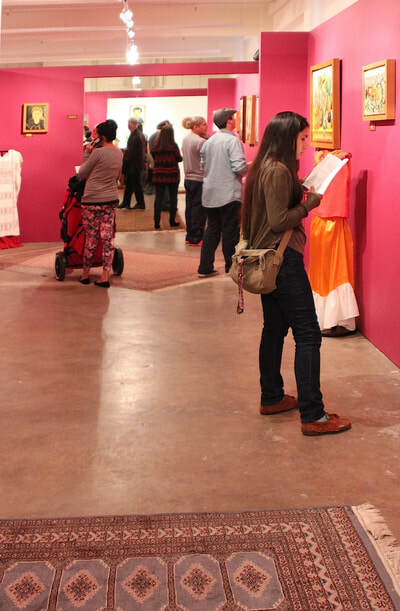 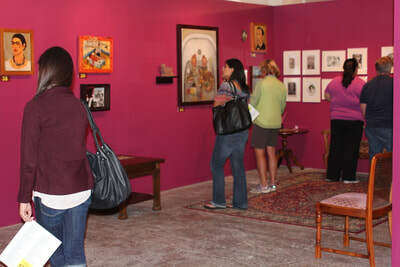 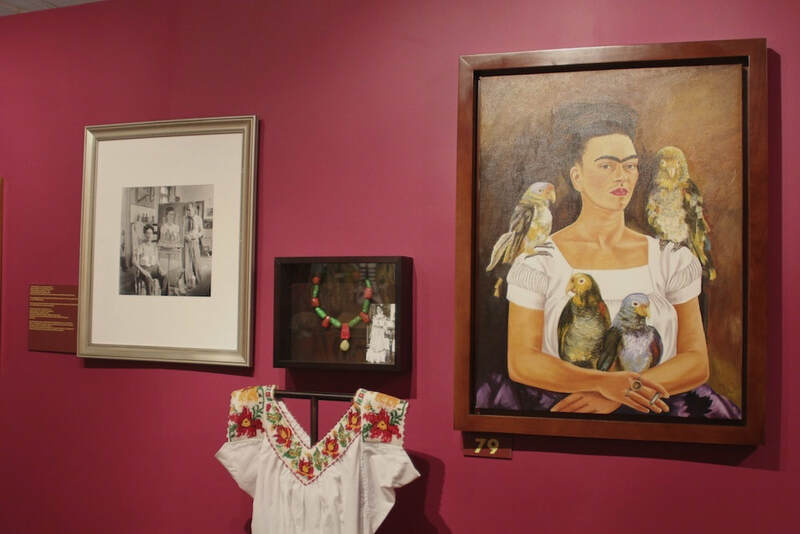 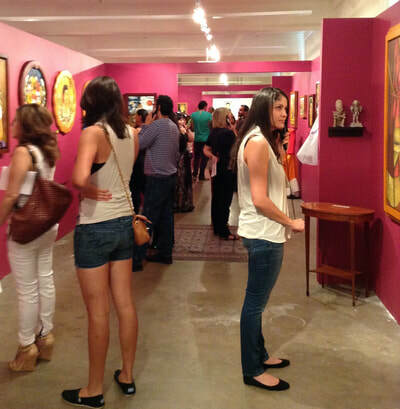 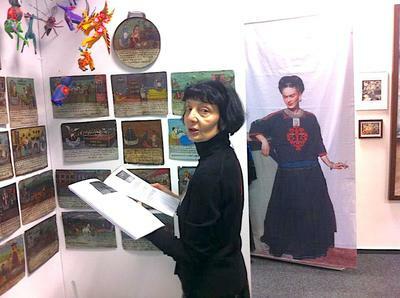 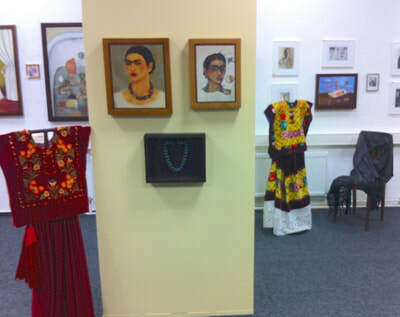 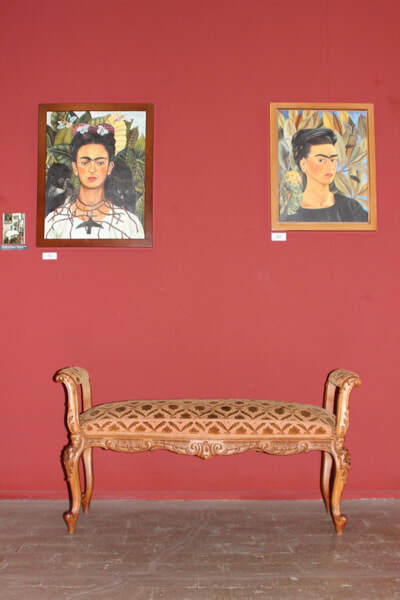 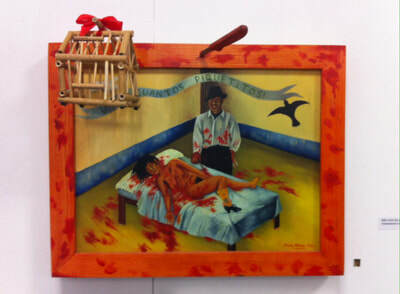 The collection and exhibition features 123 replicas of her known paintings in original size and original materials, and hand-painted in the same style as Kahlo painted them. 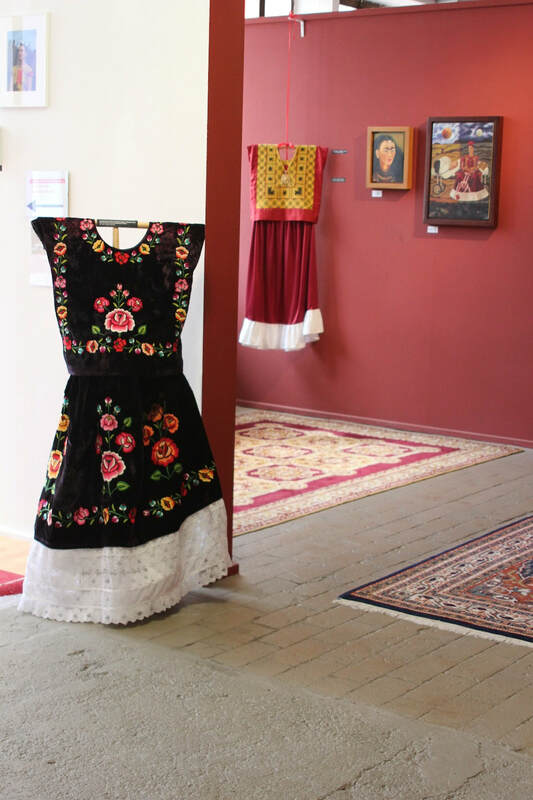 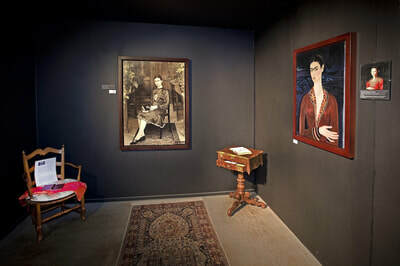 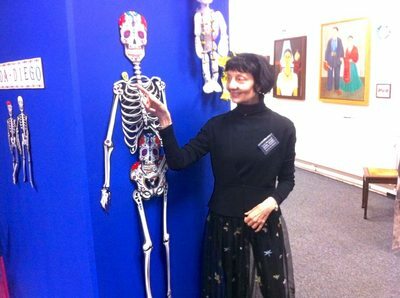 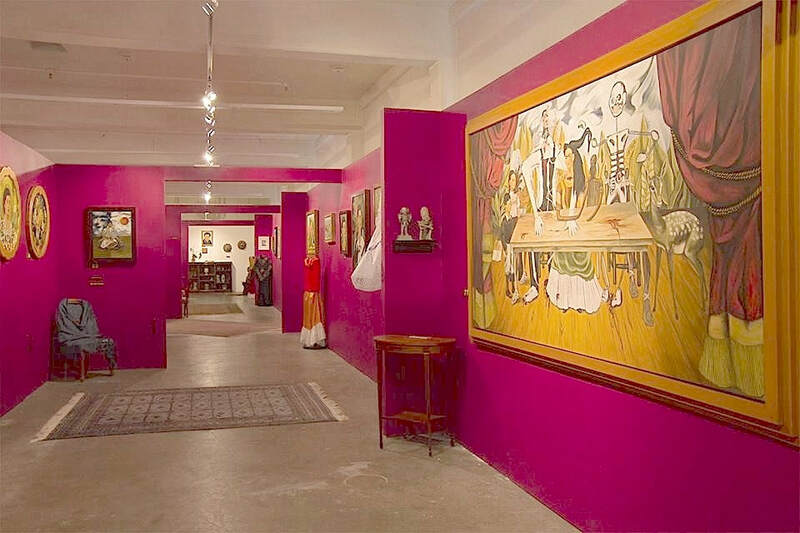 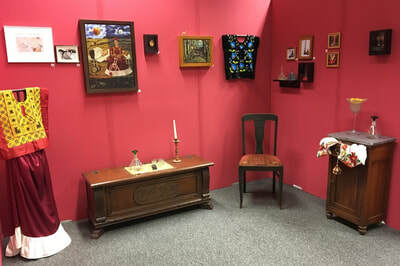 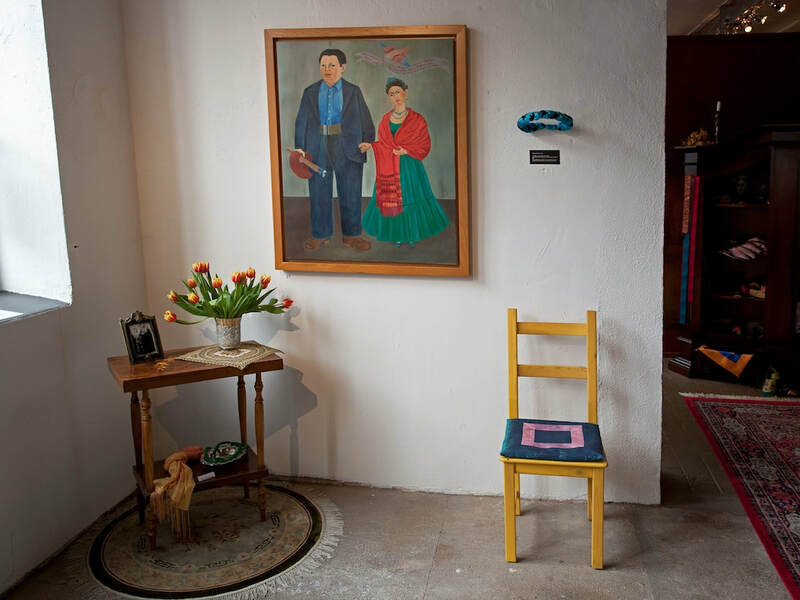 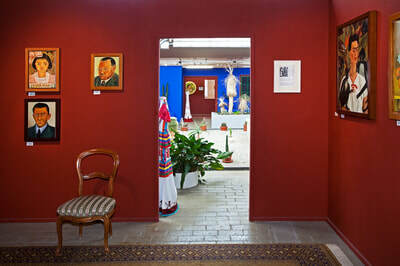 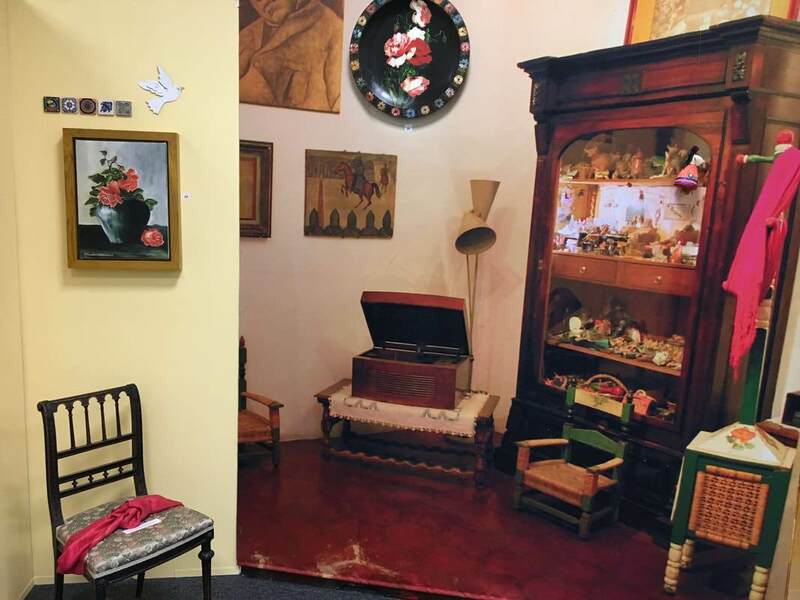 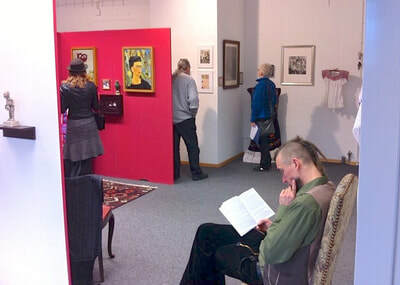 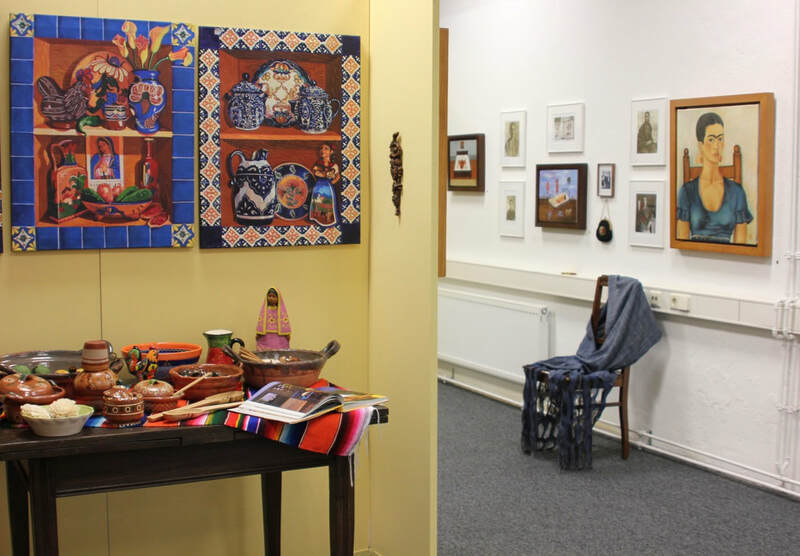 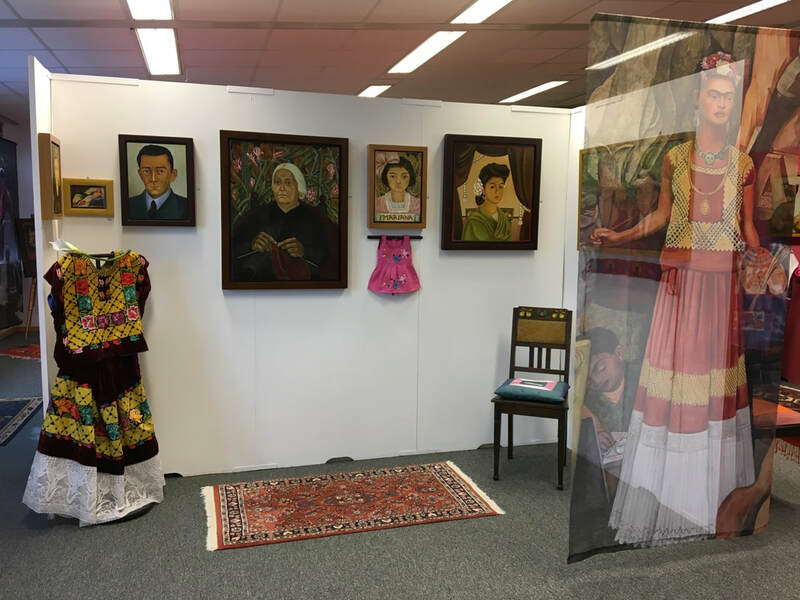 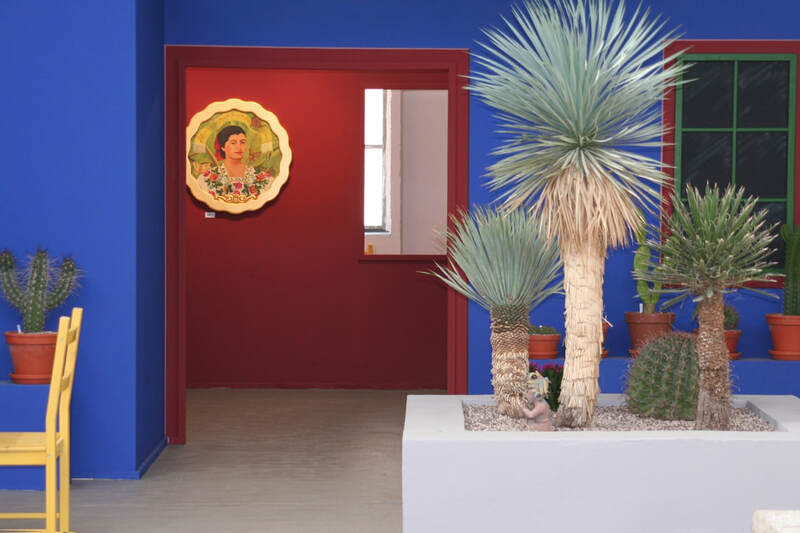 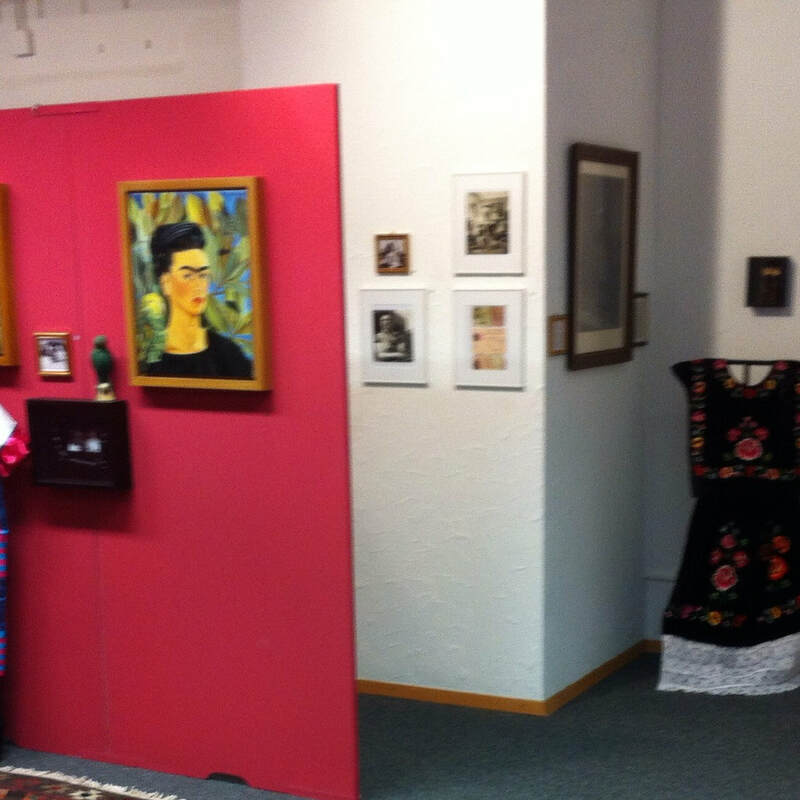 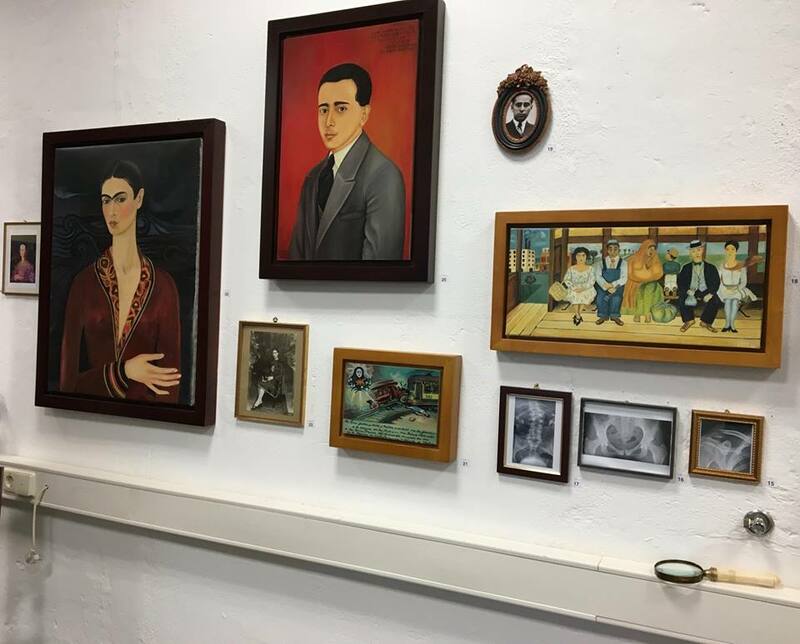 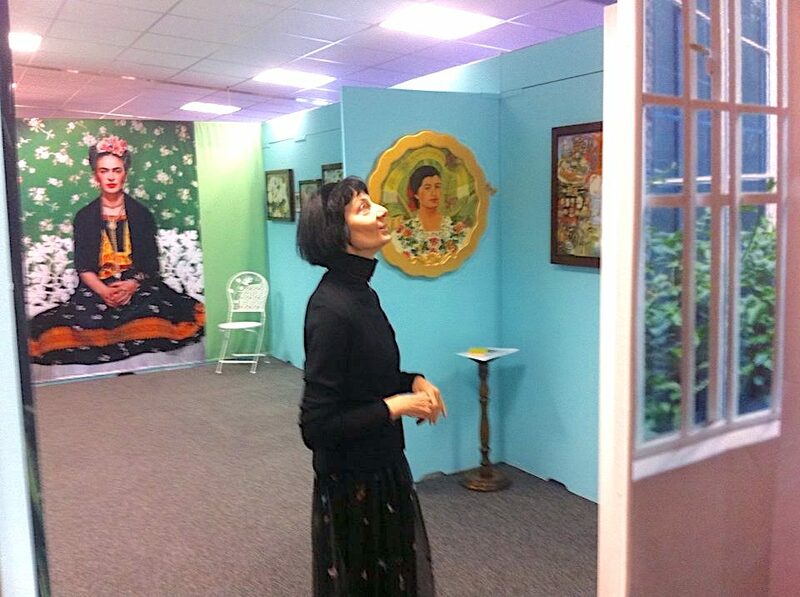 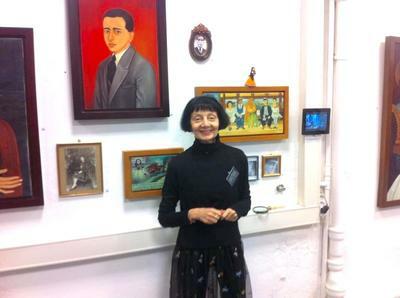 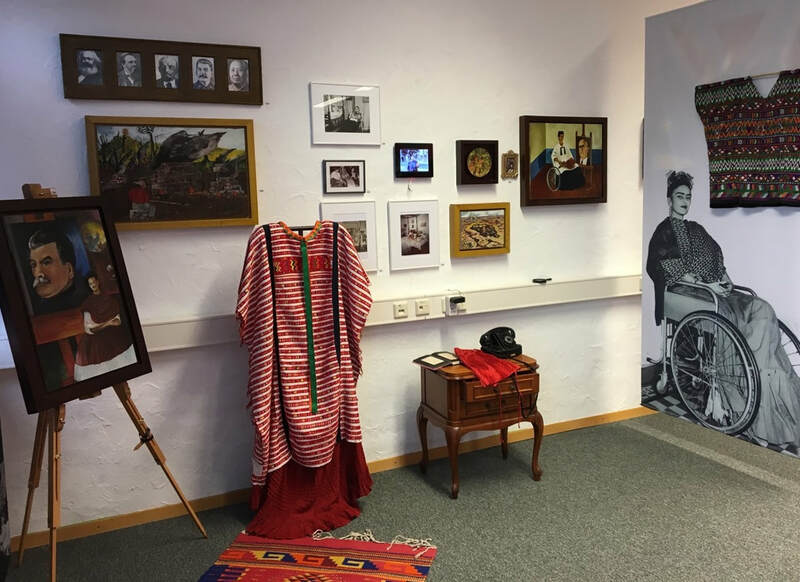 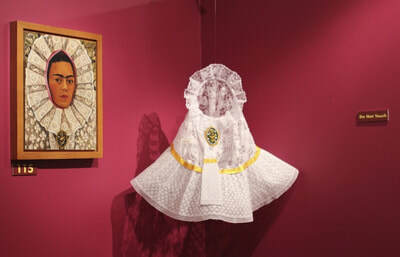 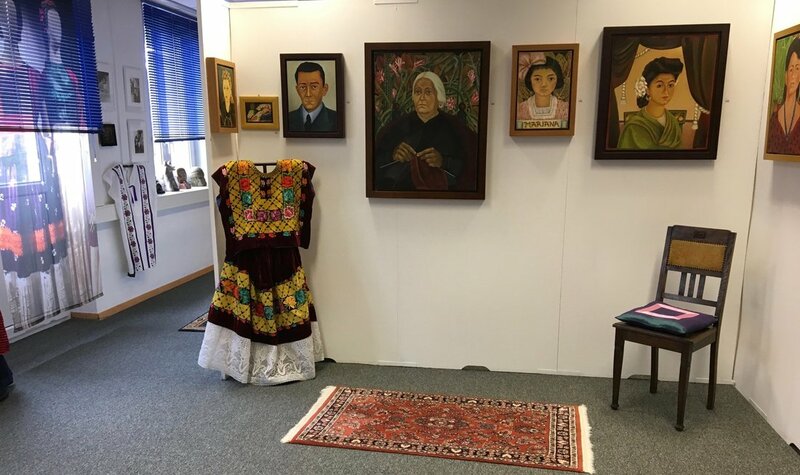 The exhibition is curated by Dr. Mariella Remund and Hans-Jürgen Gehrke, passionate art lovers and collectors, and founders of the Kunstmuseum Gehrke-Remund in Baden-Baden, Germany, the city where Kahlo’s father spent his youth before emigrating to Mexico. 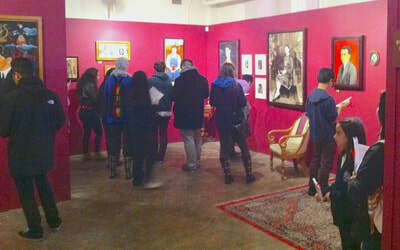 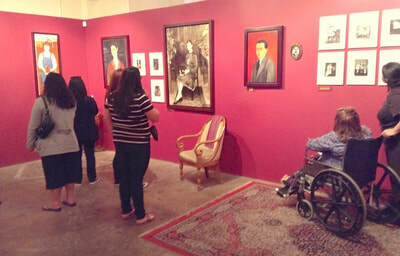 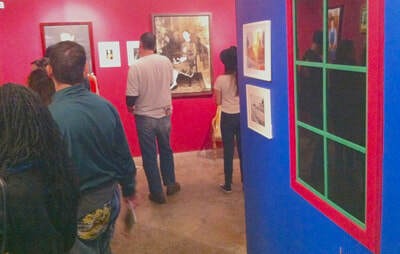 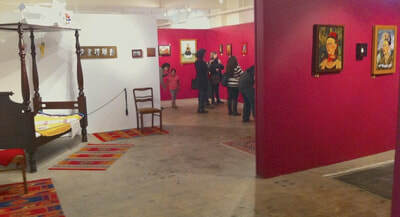 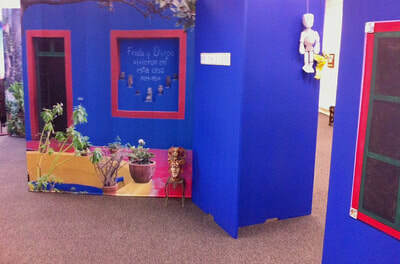 Their vision for this exhibition was to not only touch the eyes and minds of the visitors, but above all, their hearts. 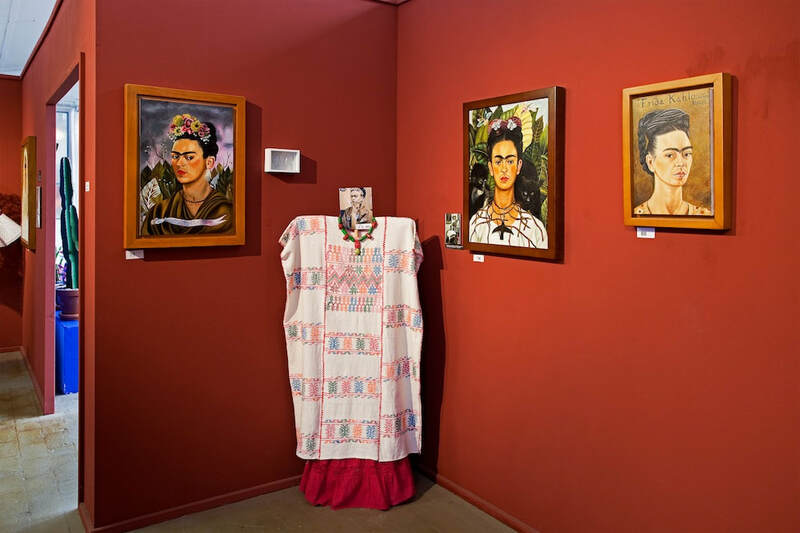 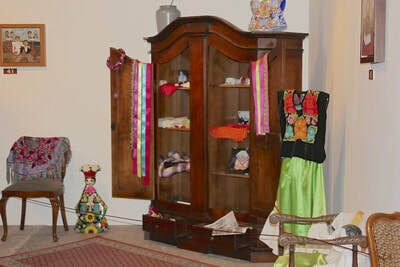 Also in the collection are over 500 fascinating possessions— jewelry, dresses and adornments identical to those Kahlo surrounded herself with, coming from the collection of the Frida Kahlo Museum in Germany. 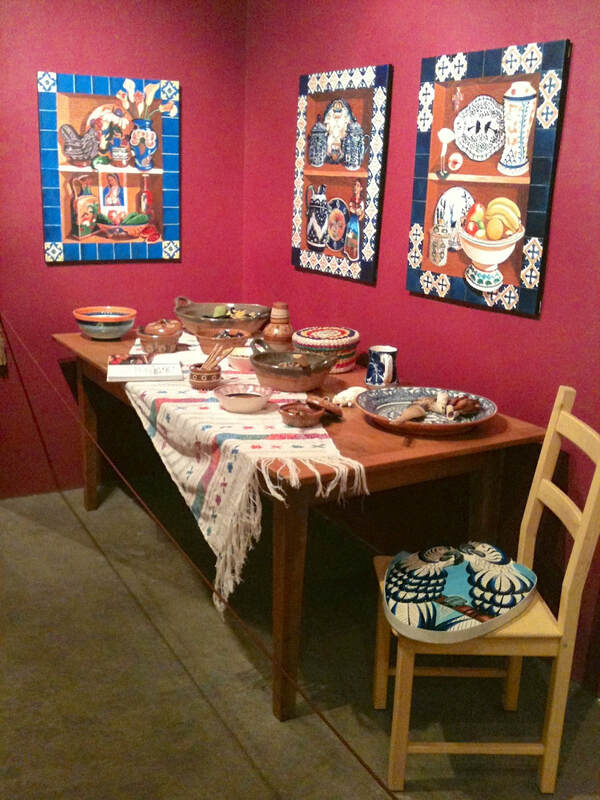 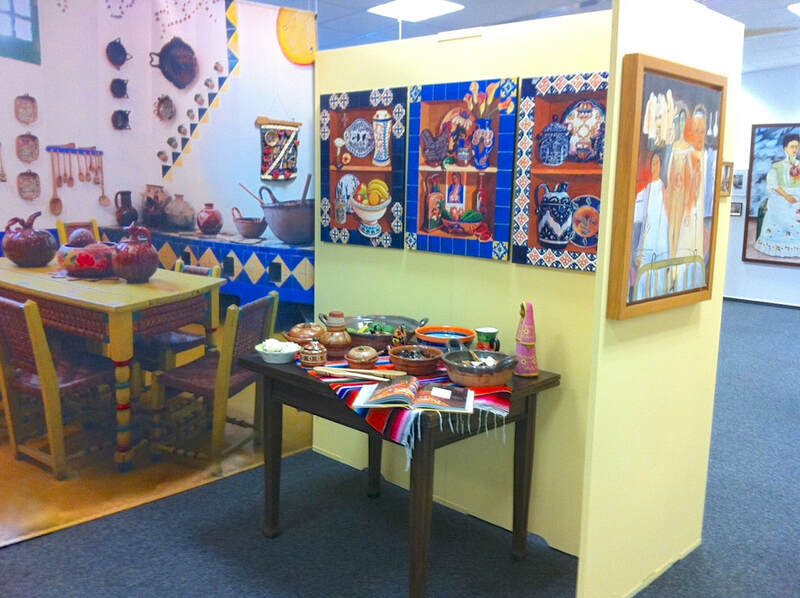 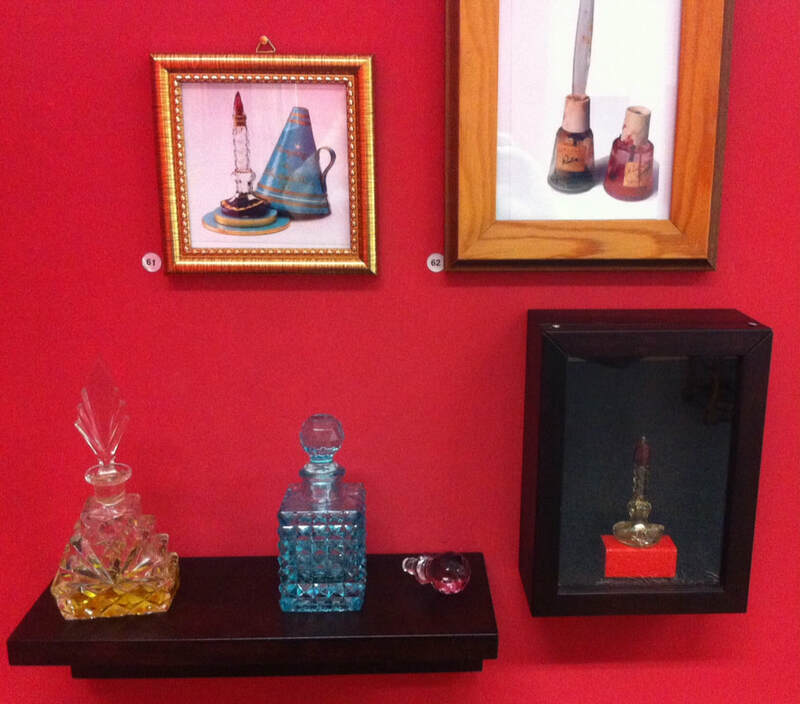 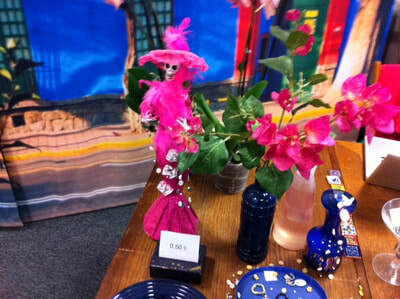 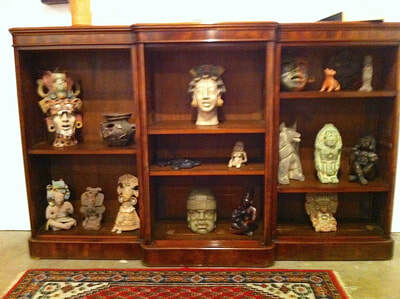 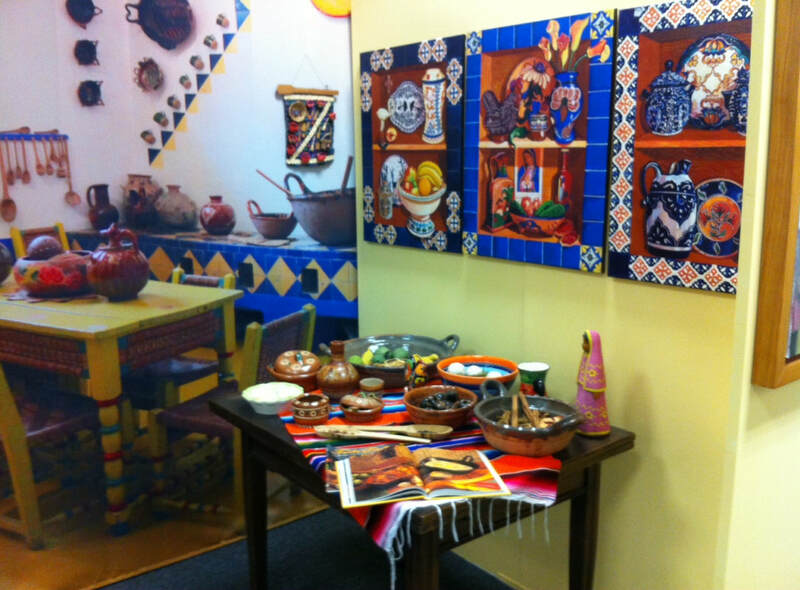 All are handmade using traditional methods, materials, and tools. 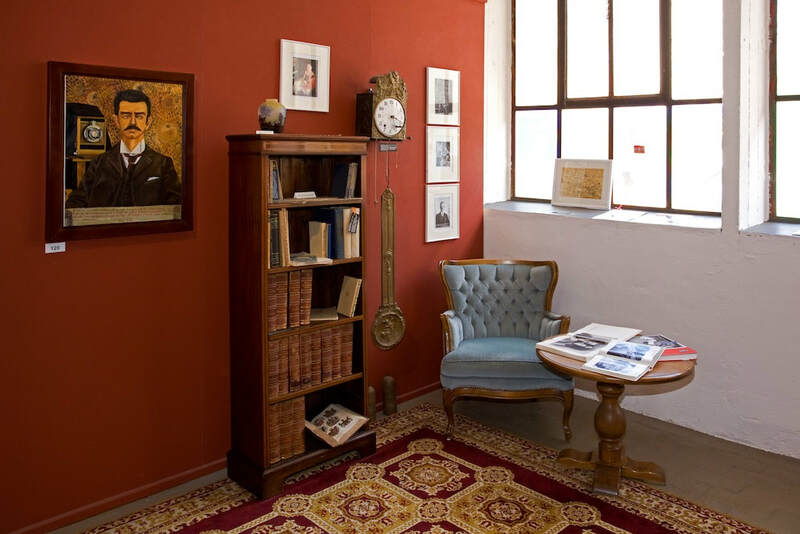 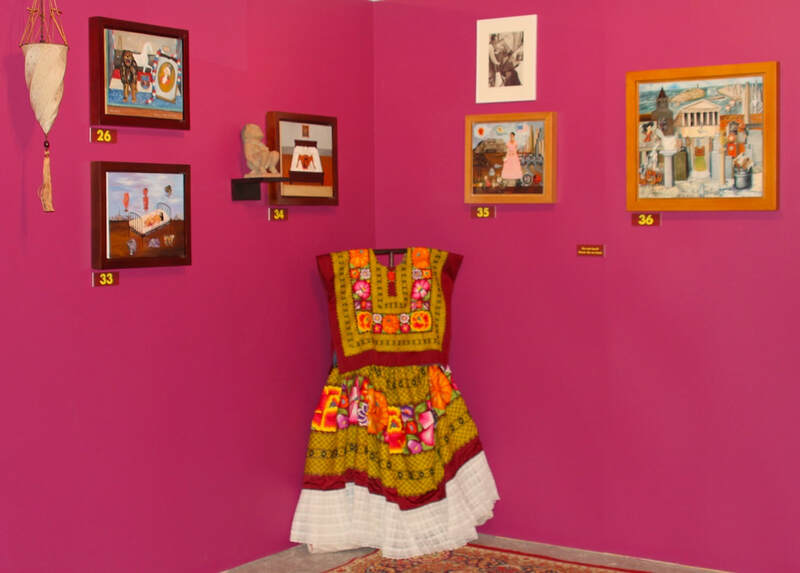 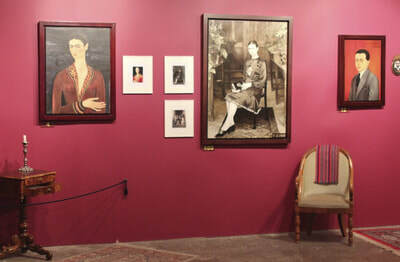 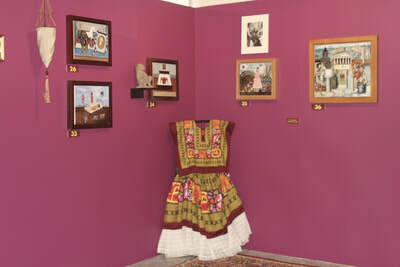 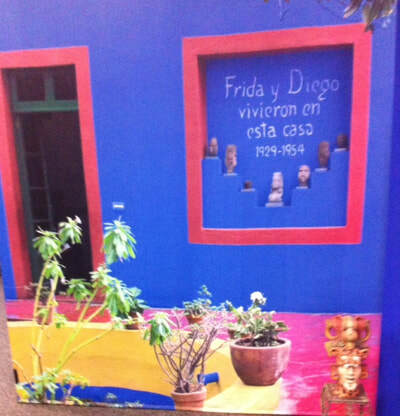 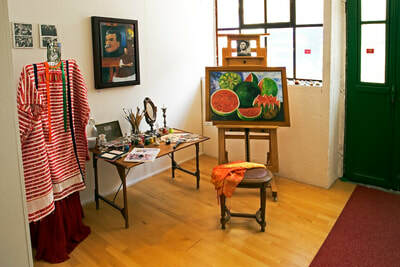 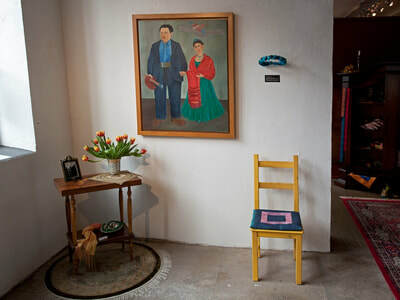 There is also a substantial collection of photos of Frida Kahlo, her family, and friends in her work and life environments and a large collection of pre-Colombian through present-day Mexican folk art, which held a position of great importance in her and husband Diego Rivera’s lives. Among the photos, the most admired is the stunning portrait of Kahlo taken by Nickolas Muray in 1939. This photograph, “Frida in Blue Dress,” is a limited edition of a portrait of Kahlo taken by Muray during their ten-year romantic relationship. 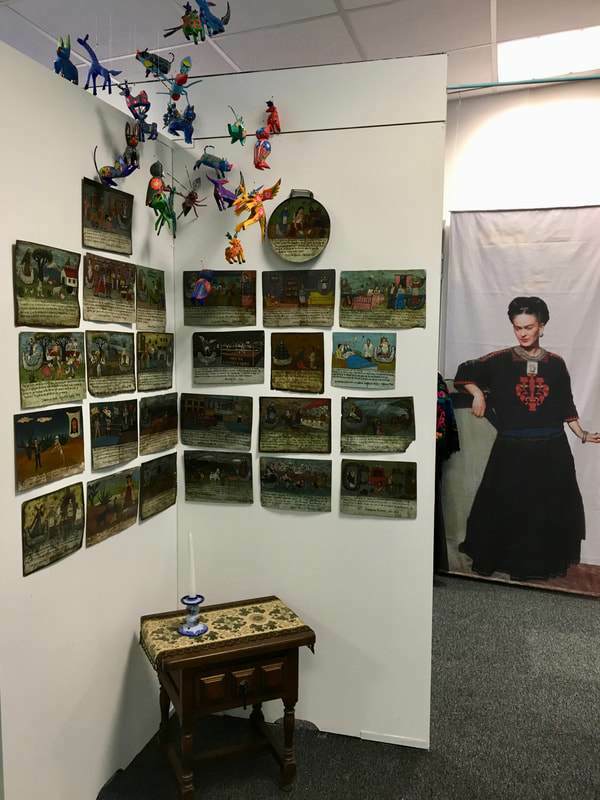 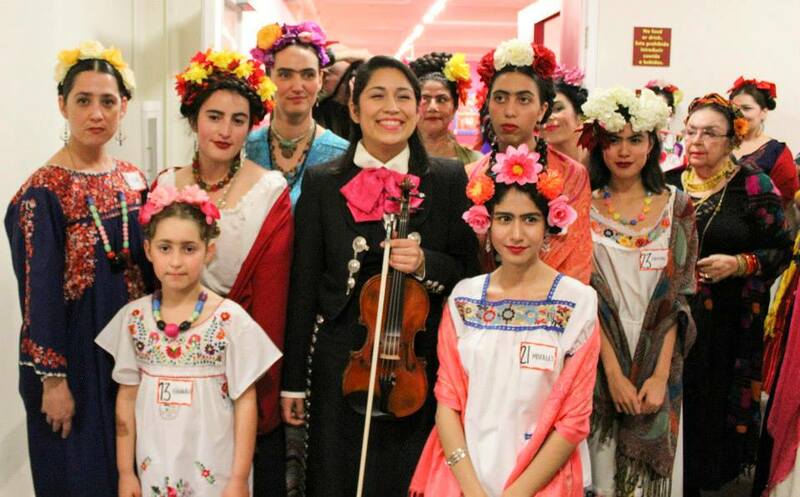 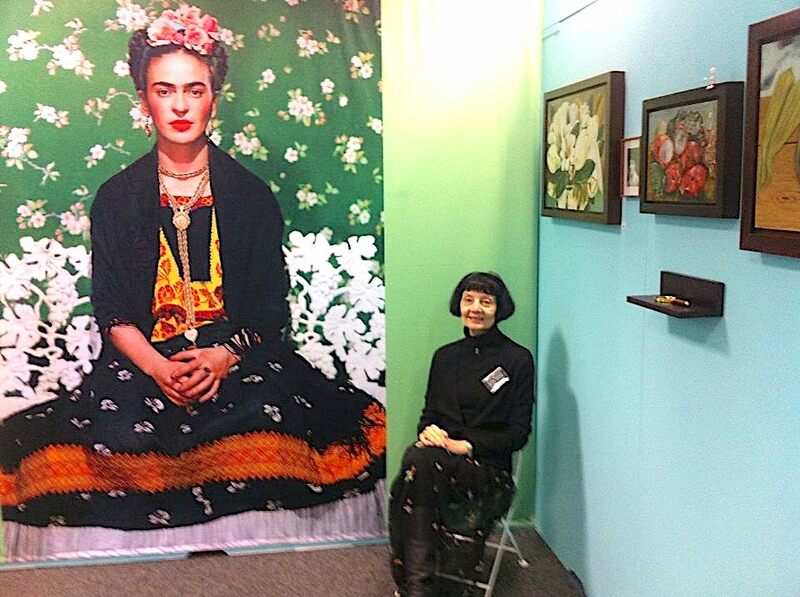 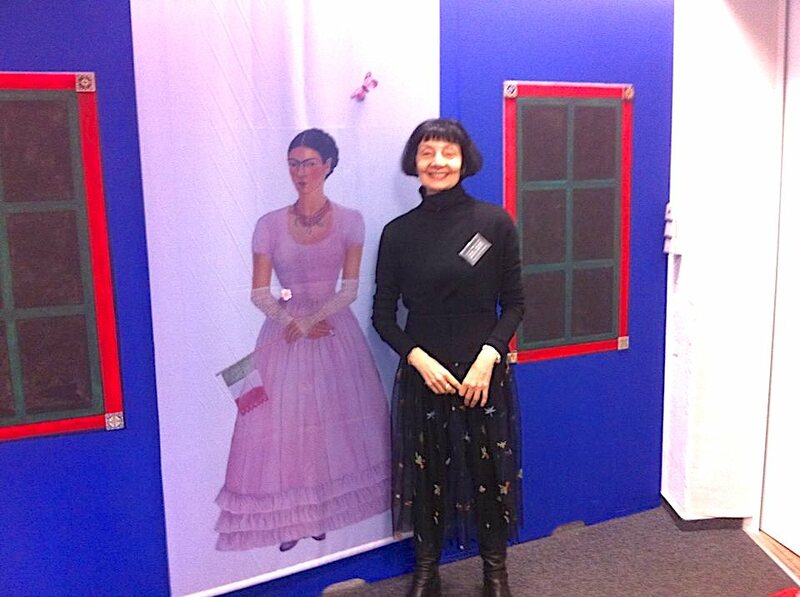 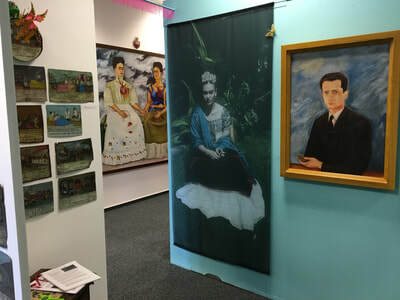 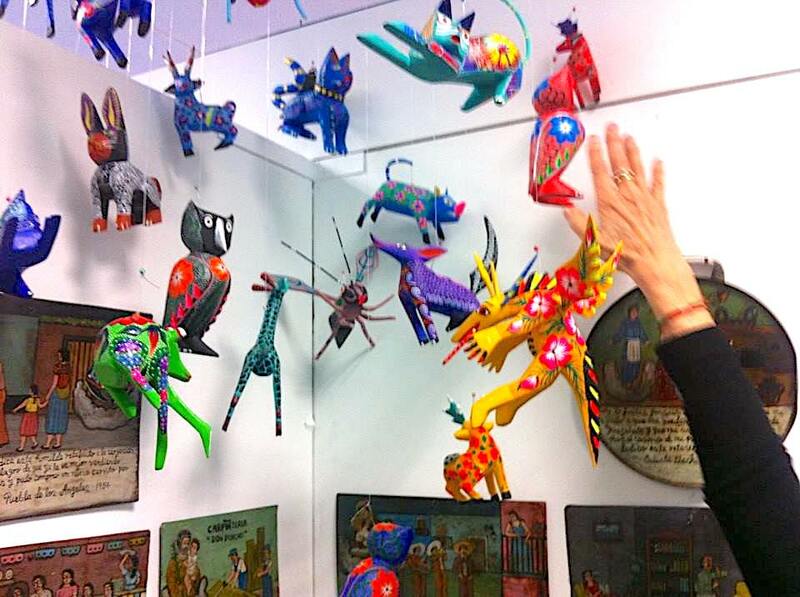 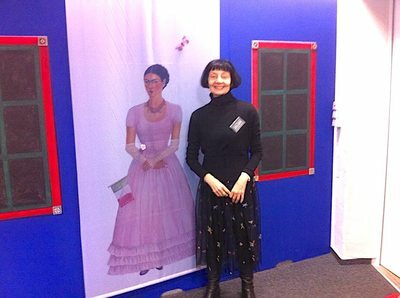 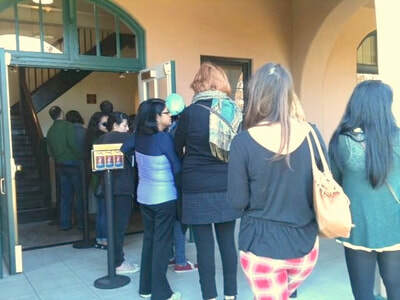 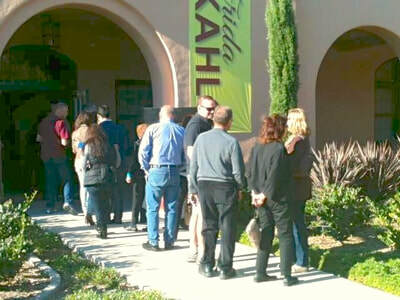 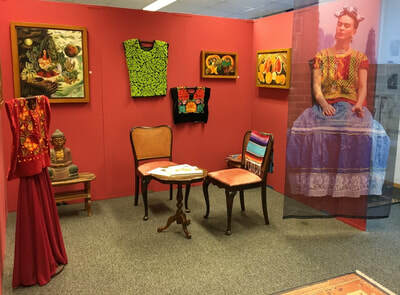 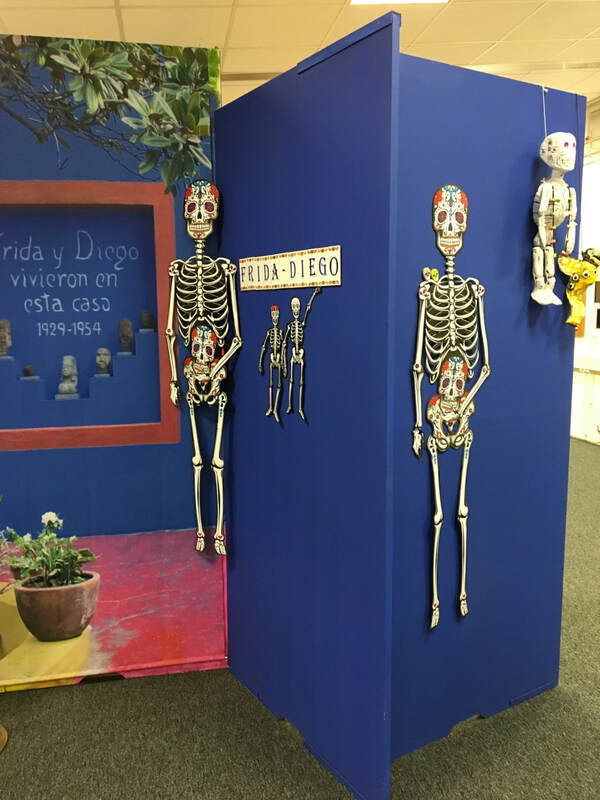 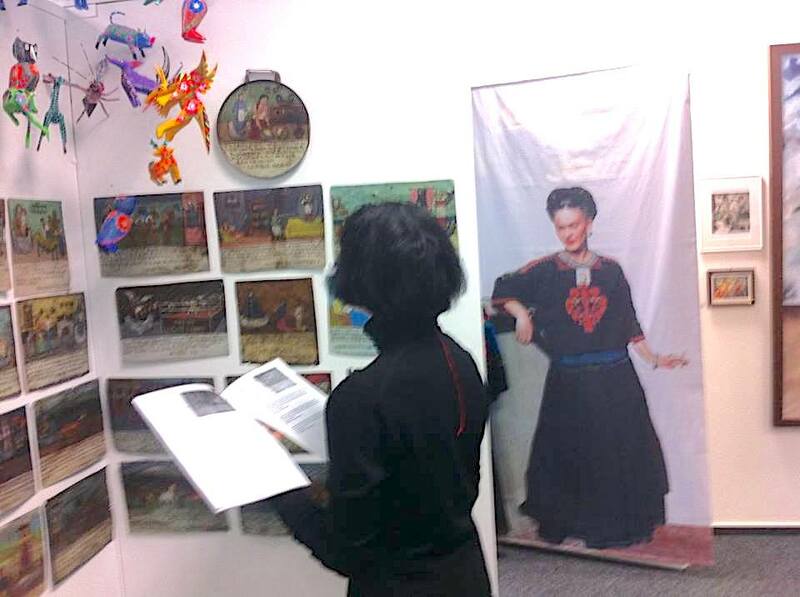 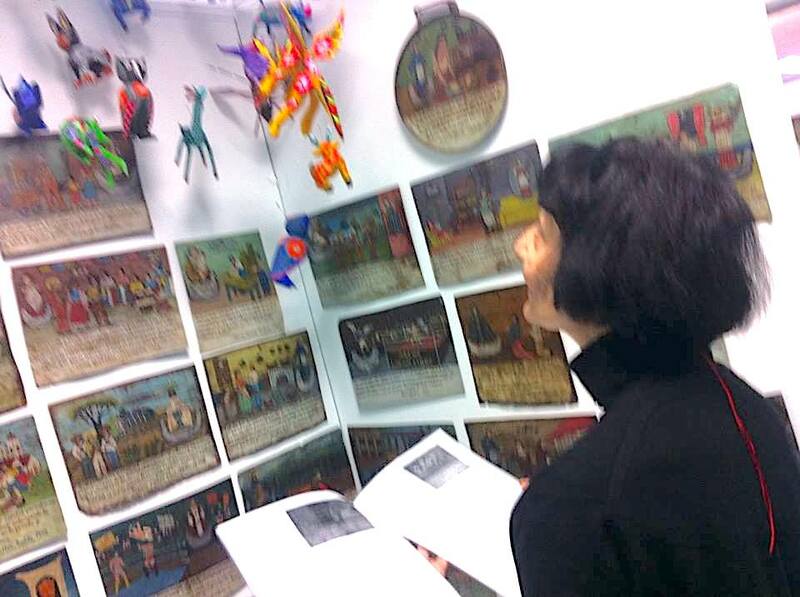 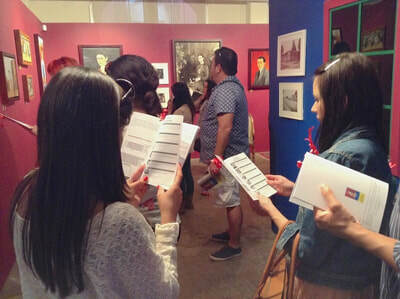 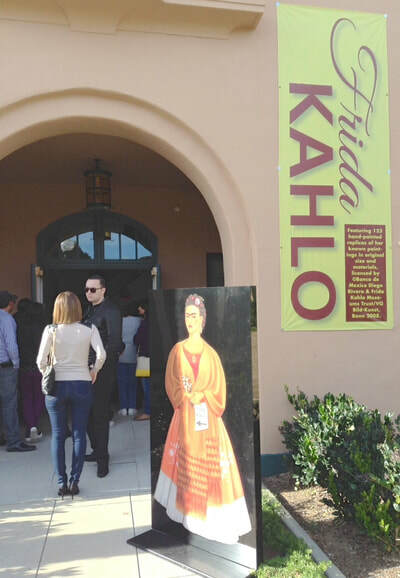 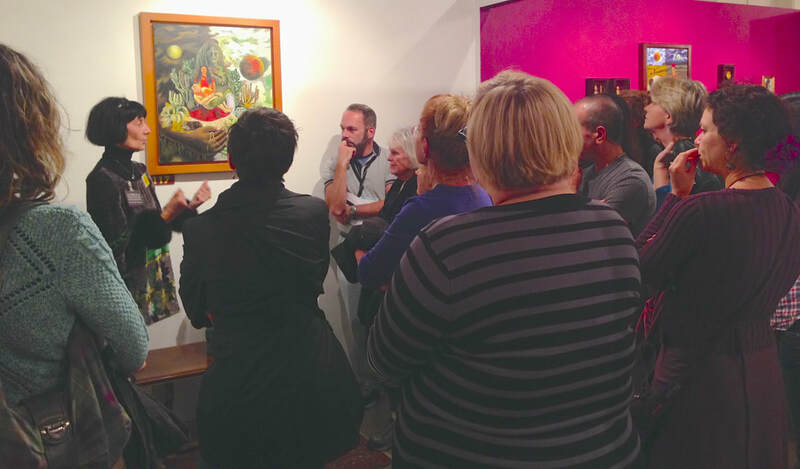 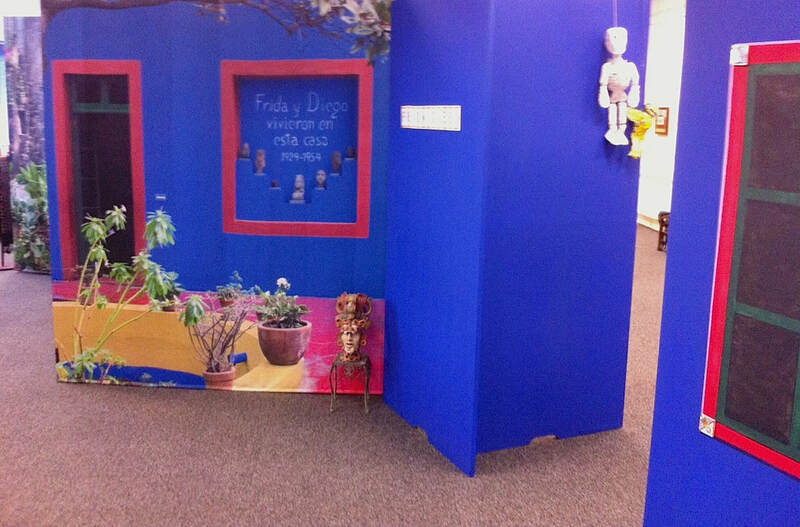 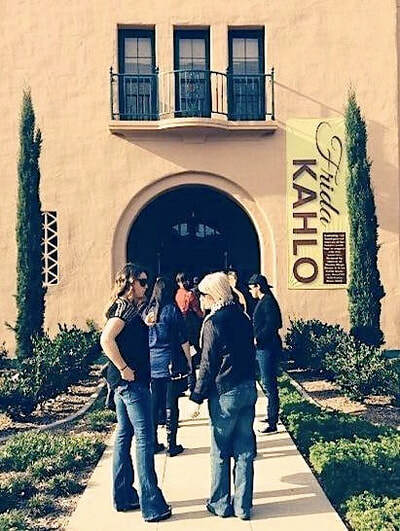 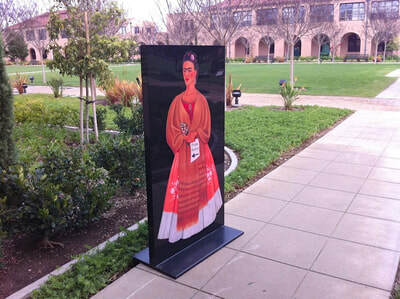 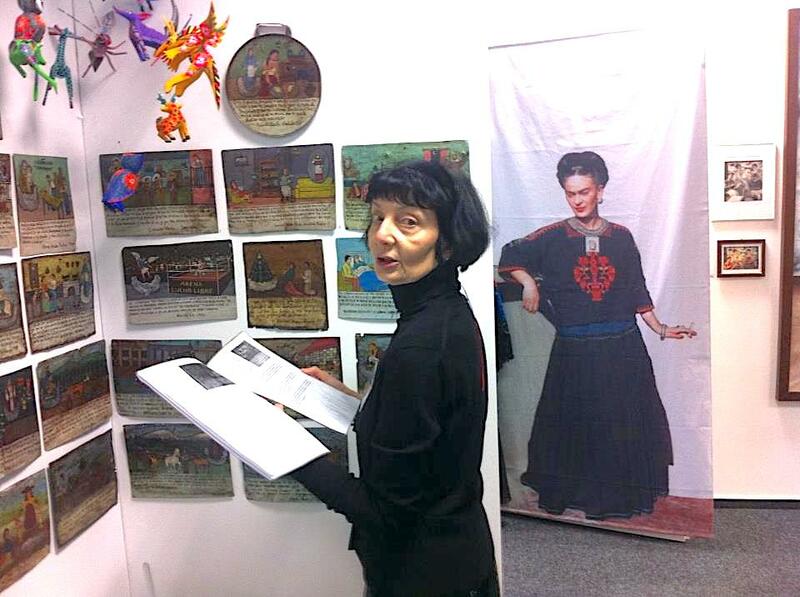 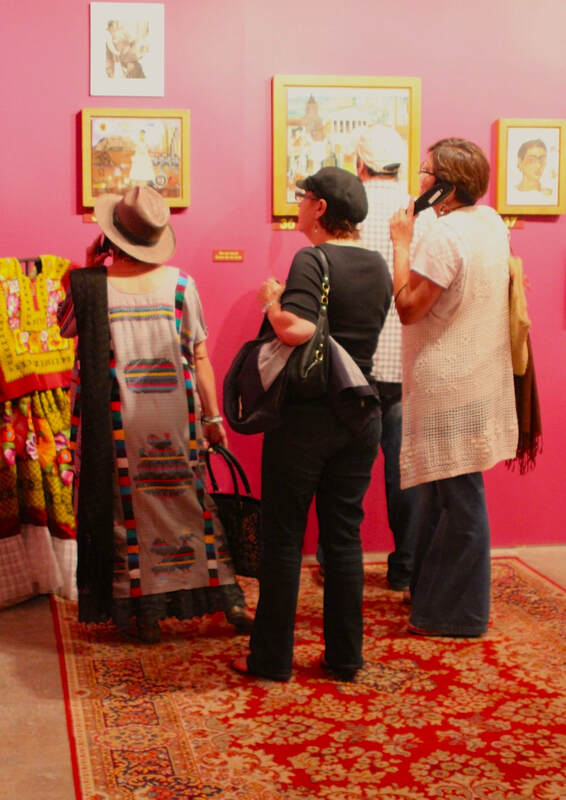 “This 360 degree view of her life and work allows visitors to totally immerse themselves in her artworks and to better understand Kahlo as well as Mexican history and culture,” says Dr. Mariella Remund. 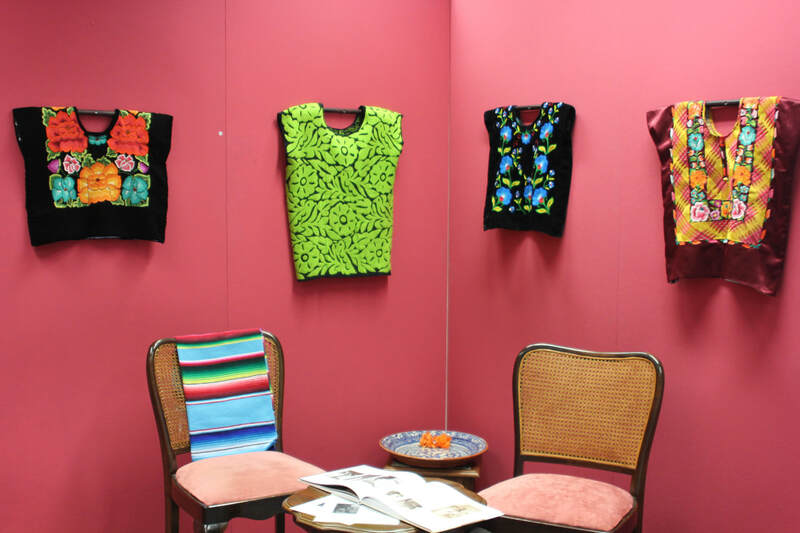 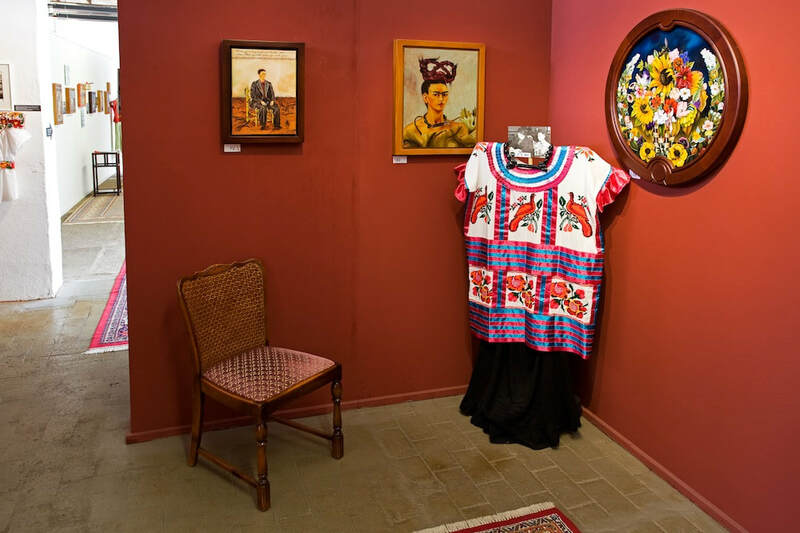 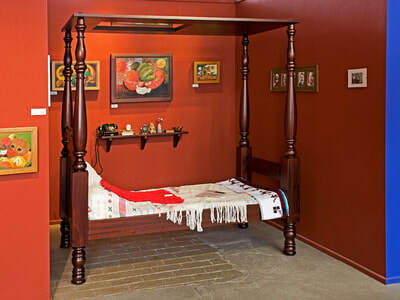 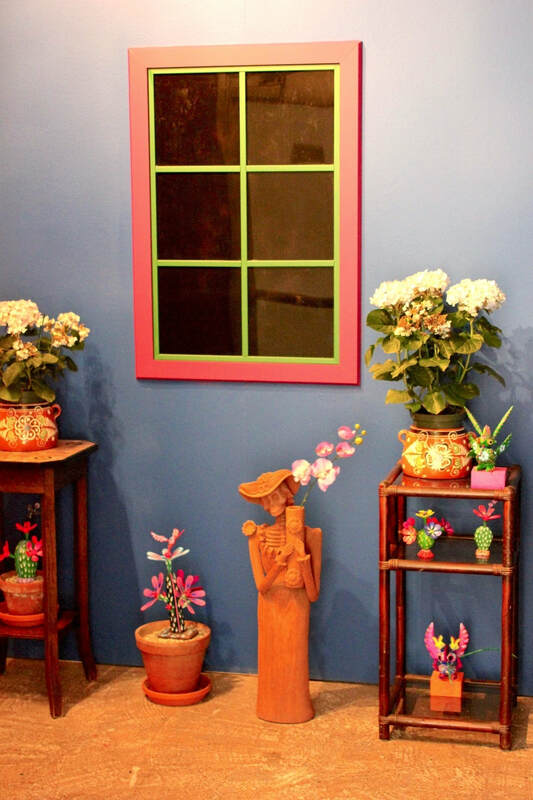 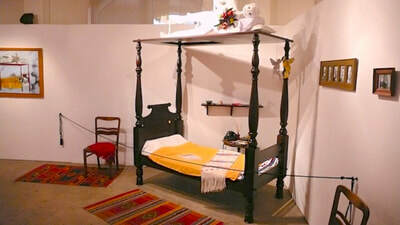 This collection concept, using replicas to show the entire work of Frida Kahlo, has proven to be extraordinarily successful over the last ten years while the exhibition has been on display at the Kunstmuseum Gehrke-Remund in Baden-Baden, Germany and in the USA. 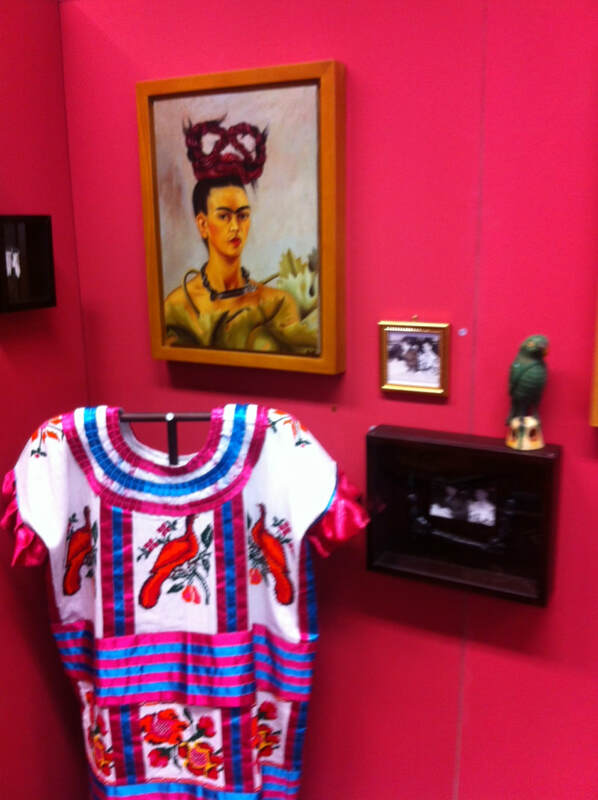 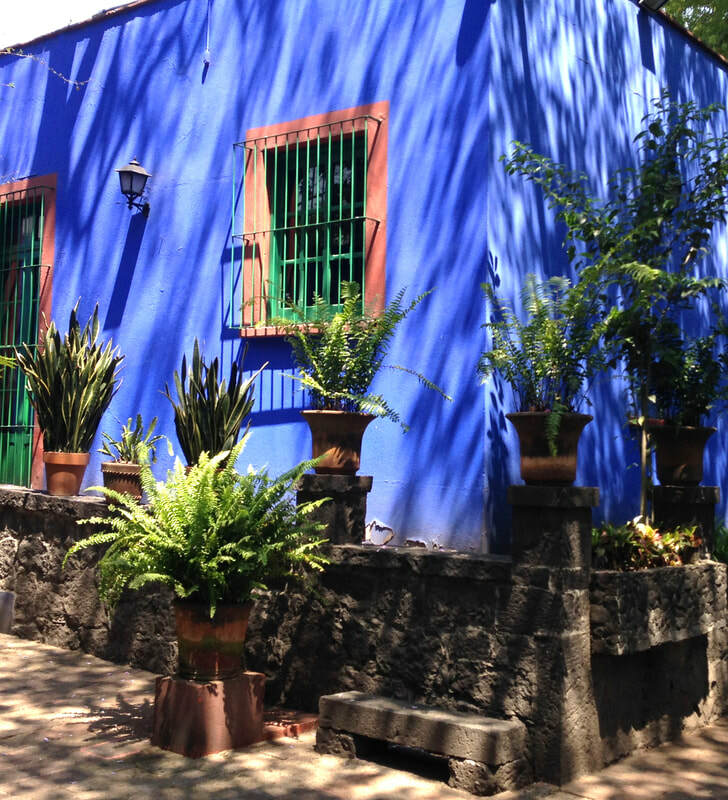 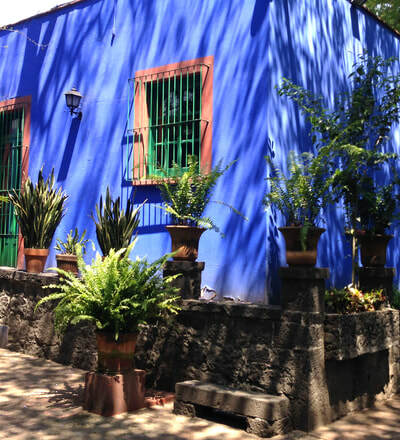 Born in Coyoacan, Mexico City, in 1907, Kahlo became revered as one of the most influential artists of the 20th century. 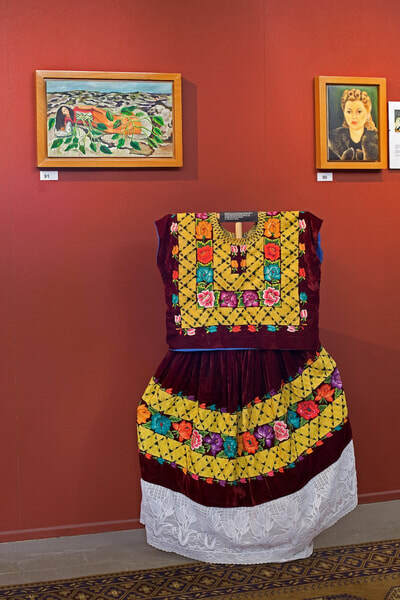 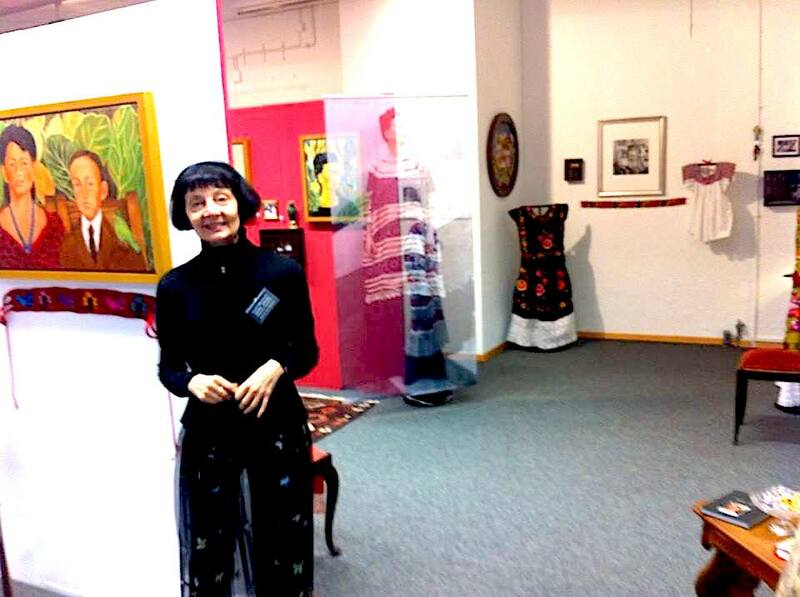 Through her art she championed the Mexican culture and became an icon in art, fashion, for the women’s movement and for her political beliefs. 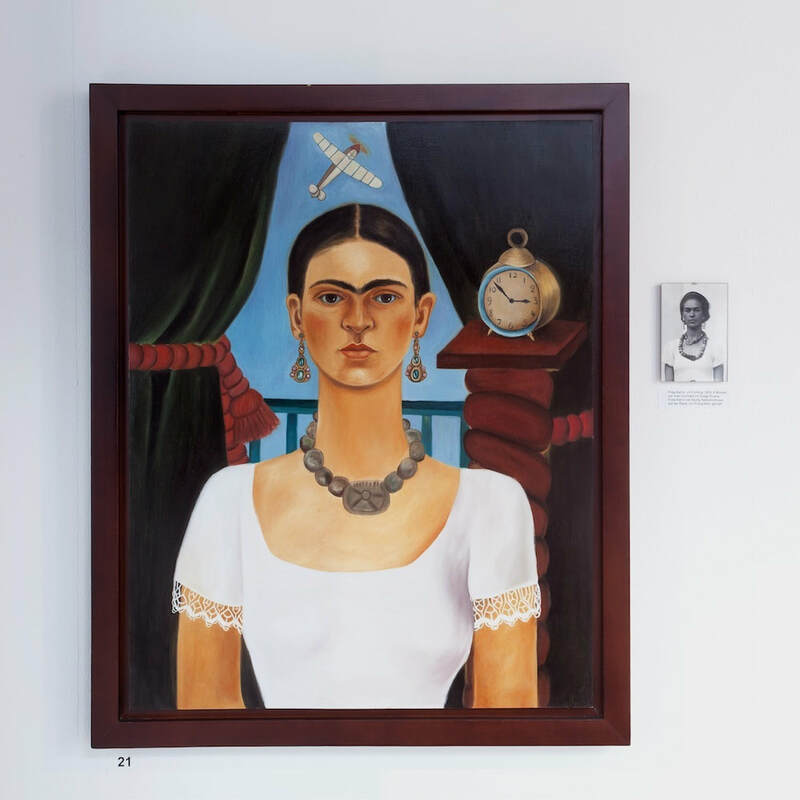 Her striking images, tumultuous relationships, pas-sionate and tragic life-story continue to captivate a constantly growing worldwide following.